The “By the Numbers” display in the James K. Schmidt Gallery exhibit curated by students from the fall semester Greece, Turkey, and Italy Abroad merely scratches the surface of the story. Here are a few examples—4 countries visited (Greece, Turkey, Italy, Vatican City); 20 museums visited; 239 tubes of paint used; 631 miles sailed by ferry; 1,896 scoops of gelato consumed; 5,256 sketchbook pages used; 8,021 miles walked; and 108,495 photos taken. Led by Dan Kistler (C'79), associate professor of studio art, and Chris Young, assistant professor of philosophy, the group of 22 students visited some of the most notable archaeological sites and art museums in the world, including the Acropolis in Athens; Ephesus in Selçuk; several Greek temples in Paestum; the Piazza San Marco in Venice; and the Colosseum in Rome. Along with a focus on producing art, the abroad included a component on Plato, Aristotle, and pre-Socratic thinkers—a natural fit for traveling in the region. Students looked at how early Greek thinkers attempted to determine the primary substance or essence of place, known as Arche Ousia. As active observers, students had sketchbooks, paints, and cameras almost always at hand to document all they were learning. Throughout their travels, students discovered that their experiences were greatly enhanced by interacting with those who knew the area best—the locals. Whether speaking with the owner of a small family-run hotel where they stayed, describing their drawings to curious children, or practicing Greek, Turkish, and Italian phrases in shops and restaurants, Principians made friends wherever they went. Visiting the local Christian Science church in Athens to attend services given in Greek also added to the experience. Church members translated students’ testimonies from English to Greek and translated members’ testimonies into English. In addition to this abroad program, students have recently traveled to Malta, the United Kingdom, Peru, New Zealand, St. Lucia, Grenada, and Ireland. Others are packing their bags soon for abroads and international field programs in Italy, Israel, Jordan, the Palestinian territories, Mexico, Trinidad, Ireland, England, Iceland, Slovenia, Croatia, Bosnia, the Czech Republic, Nepal, India, and Malawi. 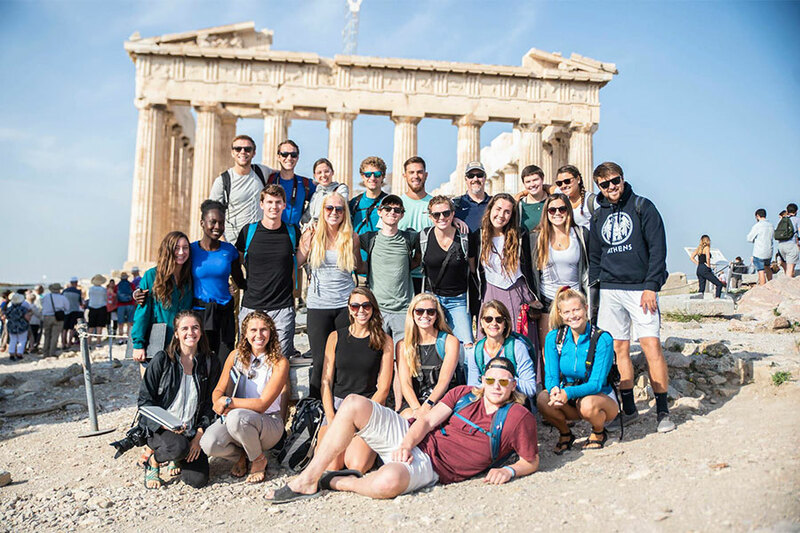 Learn more about Principia’s study abroad programs.